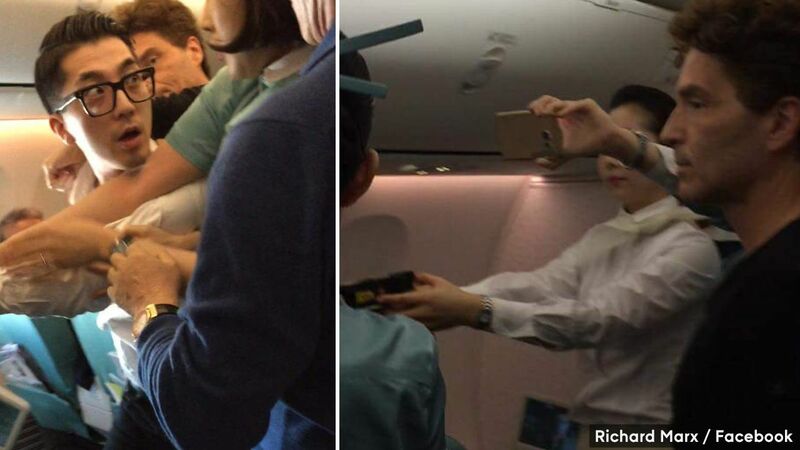 Singer Richard Marx jumped into action when a passenger got out of control. Marx posted several photos on his Facebook and Twitter pages showing the incident during the flight from Vietnam to South Korea. Marx's wife, model and television host Daisy Fuentes, captured the entire incident. Fuentes wrote on social media that it went on for four hours. Fuentes said two passengers and a crew member were also injured in the fight. The unruly person was arrested when the plane landed.